This fun and informative class is designed to give you a basic understanding of the world’s most popular and versatile rifle, its history, and a host of other information. The class concludes with you shooting and adjusting the windage and elevation of an AR-15 on the range. 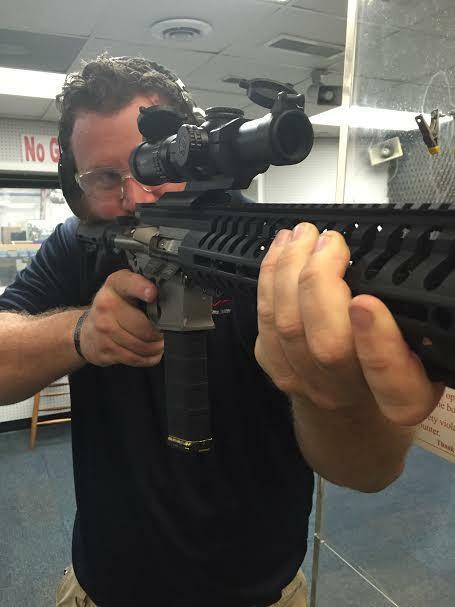 Everything you need for the class is provided for you including an AR-15 to disassemble, reassemble, and shoot. We also provide targets, ammo and handouts. NOTE: You can bring your own AR15 to use in class or we can provide one at no charge. If you bring your own, please assure that the gun is very clean, especially the receiver area. You will be disassembling the rifle during classroom instruction.